Members of my extended family have heard this story at least 100 times, and my mother has told it to every girl I have ever dated. It can be pretty embarrassing. You know what’s even more embarrassing? Telling my mother that I will be sit out this season because of my incessant groin pain. I was surprised to find out that 2 to 5% of all sports injuries are comprised of groin pain. For those of you who don’t know, your groin is the area between your abdomen and thigh on either side of your body. One night, after a particularly grueling practice, my coach told me I should go to FastMed Urgent Care and talk to a medical professional about my pain. Because FastMed is open late and requires no appointment, I was able to stop by after practice and speak with a medical professional in less than an hour. I learned a few valuable things. Groin Pain Is Far More Complex Than I Thought. Groin pain can consist of muscle, tendon, or ligament strain. It is often difficult to diagnose because of the complex anatomy of the region.Groin pain is especially prevalent in individuals who participate in ice hockey, fencing, cross country skiing, and soccer. Thanks to FastMed Urgent Care’s knowledgeable staff and digital x-rays, I finally know the cause of my groin pain and am working hard to treat it before next hockey season. So, the next time you need medical care in a hurry, take it from me: FastMed Urgent Care is the place to be! 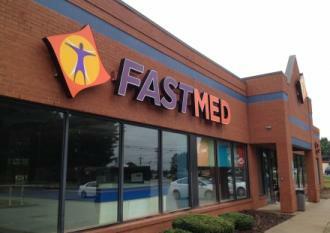 Find a FastMed location near you!